Cahir Park Golf Club is delighted to announce the proposed development for a new driving range. 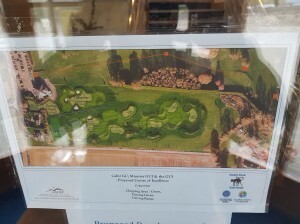 This will become the Centre of Excellence for Munster GUI, making it the home of Munster Golf. It will consist of a USGA standard putting green, chipping area , 6 covered bays, warm up room and upgraded target areas. It will have safety netting and lighting to allow for maximum usage throughout the year. An application has been made to the Sports Capital Program for a Regional Grant for the project.